(If you’re not yet convinced that being able to read Japanese novels is worth it check out this article). When I picked up my first Japanese novel I think I managed to get about 3 pages in before giving up. It was Kino no Tabi and I must have read the first page a billion times trying to get through my first novel. So I thought maybe I should try an easier novel. I got 7 pages into that one, and then 13 pages into my third attempt! But each time I would pick up the novels, read a bit, write down words and kanji I didn’t know, and then put them down again and forget about them. It wasn’t that I didn’t enjoy reading them but that they were too hard and it felt like a lot of work. But without pushing on I knew I wouldn’t be able to read novels and that my reading abilities (kanji reading, comprehension, speed etc) would be stunted! So the question is, what is a good way to get into Japanese literature? The following looks at 2 books made for the purpose of easing English speaking people learning Japanese into Japanese language novels, as well as other advice on reading Japanese literature for fun and profit. Well there have actually been a few books written on this subject matter and a friend of mine recently gave me “Breaking into Japanese Literature”. This is a great book for people with N3-N2 level of Japanese and is a great way to get you used to reading, understanding and learning from Japanese literature. The book is made up of 7 stories that are divided into 3 difficulty levels. The first level has 4 short stories by Natsume Souseki which are about dreams. Each of these stories is about 7 half pages long with easy to understand themes and images (despite the creepy dream factor). The reason they only about 7 half pages is because each page has the English translation on the opposite page, and all the vocabulary in that page below them. This means you can comfortably read the texts without needing to balance a dictionary of some form while you also read. The rest of the book follows this patter but, as I said, each story gets slightly more difficult as the first level is followed by In the Grove and The Nose by Akutagawa Ryuunosuke, and the final level is Rashoumon (also by Akutagawa Ryuunosuke). With the accompanying vocabulary lists they are fairly easy and quick to read, with enough repetition to help you remember certain words and expressions and grammar. They are old texts, however, which means some strange kanji or now un-used words pops up every now and again. If you want to get good at reading these short novels I suggest reading through a story (without looking at the English translation and just using the vocab reference), then learning the vocabulary you don’t know very well, then re-read it. 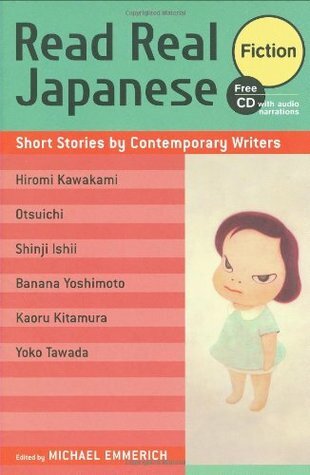 Fiction: Short Stories by Contemporary Writers” which includes more modern works by famous Japanese writers and a CD so you can listen to the story as you read it. So if you’re not interested in older stories I’d recommend getting this one. “Read Real Japanese Fiction presents short works by six of todays most daring and provocative Japanese writers. The spellbinding world of Hiromi Kawakami; the hair-raising horror of Otsuichi; the haunting, poignant prose of Banana Yoshimoto; even the poetic word-play of Yoko Tawada whatever a readers taste, he or she is sure to find something of interest and value in this book, suitable for students at the intermediate level and above. So besides picking up one of the two books above and working through short stories (it’s good to start out small) you could pick up a Japanese light novel (which are often tied in with anime which is helpful when you already know the subject matter) or a Japanese translation of a Western novel (like Harry Potter). You can find these easily in any book shop in Japan but for those who don’t have as easy access to Japan you can order them as amazon.jp or Kinokuniya and you can find advice from other people all over the internet on where to find them. If it’s your first time picking up a novel I would recommend a book that doesn’t have a lot of specialist words (like stories set in a medieval period, or involving magic or sci-fi), so a high school romance novel might be the best option as it will have a lot of words used in daily life. Once you find a novel you want to read I’ve found these to be the most useful. Pick something easy and enjoyable – don’t start with the most difficult book possible, find something short that you know you’ll enjoy. If you’re lost re-read it – You might find that reading through a chapter a second time helps you see something you missed before. Limit yourself to 1 page a day at first (this builds up over time) – Don’t be afraid to go slow. Read out loud – this will highlight kanji you know/don’t know the readings for and will help your comprehension. Write down unknown vocabulary and kanji – Learn it in a way that suits you (for me it’s flash cards on Memrise). Time yourself – If you’ve read a book, short story or a chapter and want to improve reading speed time yourself reading out loud, and then try and beat that time. Don’t stop – Even if you haven’t picked the book up in months, just keep going. 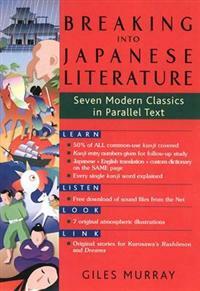 Tagged Japanese Literature, Memrise, Review.